We progressives are faced with a choice between living our stated ideology or upholding the status quo each time we sit down to a meal. A serious anti-oppression movement can’t have the bodies and byproducts of exploited beings on its plate while claiming moral superiority. If we continue to exploit animals while protesting oppression, then the conservatives are right about us—we’re a movement of hypocrites. The exploitation of animals by humans is a stunning example of progressive deference to the normalcy of oppression. Even staunch conservative Charles Krauthammer is ahead of most progressives on animal rights. We need a consumption revolution. The world’s most pervasive form of exploitation, along with its resultant environmental harm, can't be laid at the feet of Republicans, conservatives or those we define as bigots in our society. That's because both sides of the aisle participate in the needless consumption of animals. Consumers are increasingly made aware that countless sentient beings, just like companion dogs and cats, are abused and slaughtered for products we don’t really need. Marketers convince the public that animal exploitation is necessary to sustain human life. But it's not true. This profiteering is a byproduct of unchecked capitalism, producing food products that cause cancer, contribute to obesity and exacerbate the diabetes crisis. Public consciousness is sorely lagging on the issue. Standing against the exploitation of sentient beings outside our own species is often considered superfluous by progressives who embrace radical thought in other areas. It’s not uncommon to hear a supposed liberal accuse vegans of not caring enough about humans. The evasive rhetoric is familiar: a class of beings is rendered invisible by others who view their bodies as a means to an end. This is the same thinking that propagated a system of human slavery in the U.S., a system that continues today as mass incarceration. In fact, the economy of animal agriculture runs directly parallel to the prison-industrial complex. Sentient life is commodified, stripped of personhood and traded as property for a ruling class. Some progressives are starting to take notice and acknowledge that the systemic exploitation of billions of animals a year for profit is a disgraceful problem. A Salon editorial by Steven Stankevicius outlined the reasons New Atheists are engaging in overt hypocrisy when they knowingly contribute to atrocity while decrying the beliefs of others as contributors to this atrocity. Dr. Melanie Joy, a social psychologist and author who serves as a professor at University of Massachusetts Boston, developed a hypothesis to explain why humans seem to hit a moral brick wall when confronted with their treatment of other species. Joy compares the normalization of animal exploitation to patriarchy; both represent ideologies that aren’t often recognized because they’re so dominant. This comparison should probably be credited to Carol Adams, whose groundbreaking 1990 book The Sexual Politics of Meat remains an influential text of both feminist and animal rights literature. A study released by Lancaster University confirms the observations made by Joy and Adams. The collaborative efforts of U.S. and Australian researchers found that people who consume animals are more likely to support social inequality. Many well-meaning people believe that giving up meat addresses the entire issue. But the treatment of animals as property for any reason is the real problem. Some of the most egregious animal welfare violations occur in the production of dairy products and eggs. Our consumption of dairy milk requires a cycle of brutality in which the cow is repeatedly forcibly impregnated, her calves taken from her, and eventually, when her milk production dwindles, she suffers a violent death. 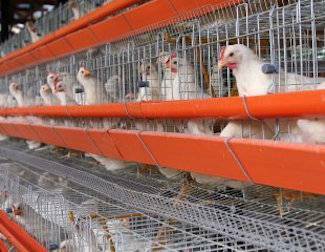 Chickens farmed for eggs are among the most abused animals on the planet. Beyond the animal abuses associated with the production of food, clothing and other products, animal agriculture, including the resources used to sustain it, is a leading cause of global climate change. The atmosphere doesn’t distinguish between meat, dairy or leather. Farmed animals increase greenhouse gas emissions just by being bred into existence. The United Nations is finally conceding that what started as an ethical problem has metastasized into an existential threat to human beings. A U.N. report states that moving away from animal consumption is imperative to avoid the worst-case scenario for global poverty, hunger and climate change-related impacts.